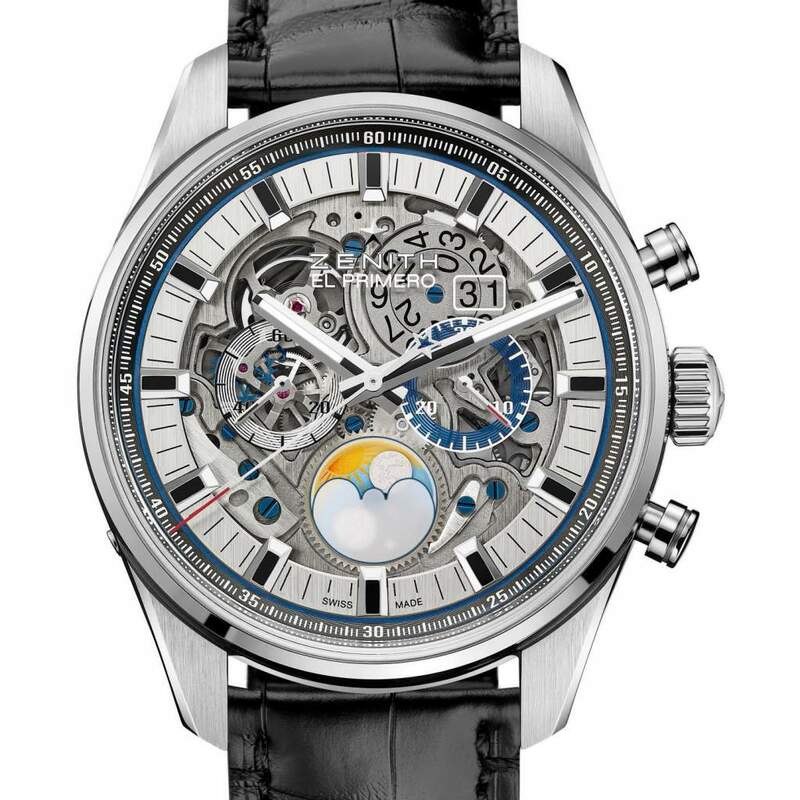 The countdown to the GPHG continues, and with that our in-depth look at the final pre-selected watches … some of which have us wondering if the judges were drinking when voting. Nonetheless, today we look at the Top Six Calendar watches as pre-selected by the GPHG. The GPHG defines the “calendar “ complexity as “mechanical watches comprising at least one calendar and/or astronomical complication” (e.g. annual calendar, perpetual calendar, equation of time, complex moon-phase display, etc.). Additional indications and/or complications are admissible. For me, this category is one that where the brands could just shut up and take my money (if I had it). 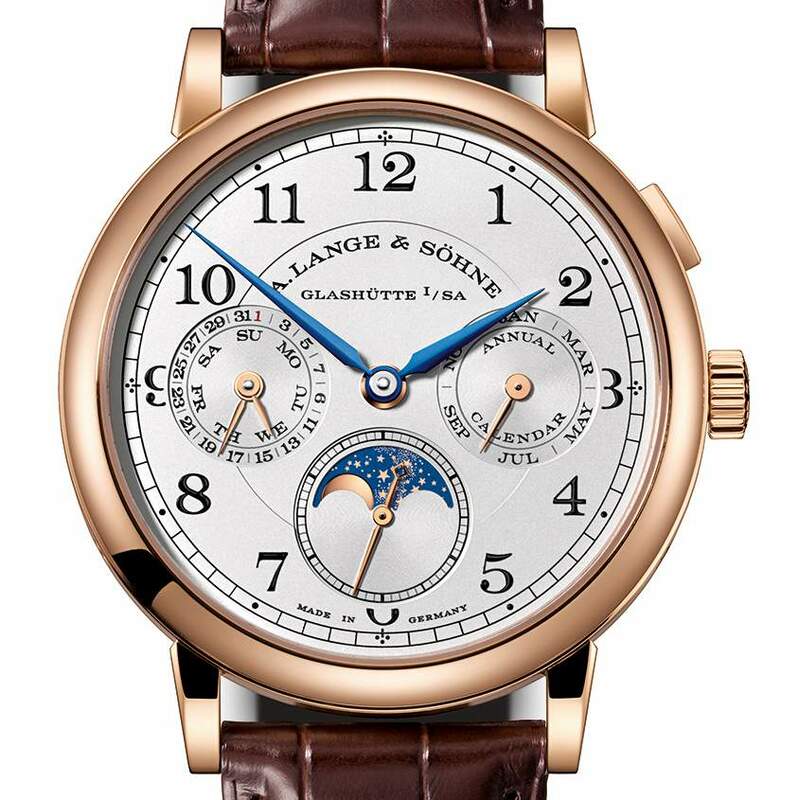 A. Lange & Sohne 1815 Perpetual Calendar watch, a GPHG 2017 contender. The 1815 Annual Calendar from the German watchmaking brand A. Lange & Sohne is powered by the manually wound caliber L051.3. The dial is harmoniously laid out with month indication at 3:00, moon phase indication at 6:00, and day and date at 9:oo, The face is anchored by blue-steeled hour and minute hands that trace black Arabic numerals along a railway-track minute scale. As a point of clarity, the 1815 treats the month of February as a 30-day month and as a result a correction must be made every March 1st. A button at the 2 o’clock position allows for the user to manually advance all indicators. If a more minute adjustment must be made, there are three recessed push pieces that allow for corrections to be made to the day, month and moon phase. Given the amount of complications in the piece, the 1815 Annual Calendar is actually quite slender with the calendar module only measuring 1.4 mm high. Additionally the power reserve boasts a robust 72 hours. 39,000 CHF. We covered this watch extensively here earlier in the year, however some important notes are worth restating. The Royal Oak Perpetual Calendar is comes in an all black ceramic case and fully integrated bracelet and features a host of information easily laid out across the dial. You will find day, date, month, astronomical moon, week of the year displayed on the outer chapter ring of the dial and leap year indicator. The case is a modest sized 41mm and the black ceramic case ensures that the creation is well protected from scratches, thermal extremes and is resistant to aging. The difficulty in shaping the black ceramic means that the case takes 5 times longer to create than the steel equivalents in the Royal Oak family. 85,000 CHF. Holding three patents and consisting of 624 parts, Greubel Forsey’s QP A Equation was seven years in the making, as the brand adds another layer of complexity to one of the more complicated watch configurations already in the industry: adding equation of time to a perpetual calendar. 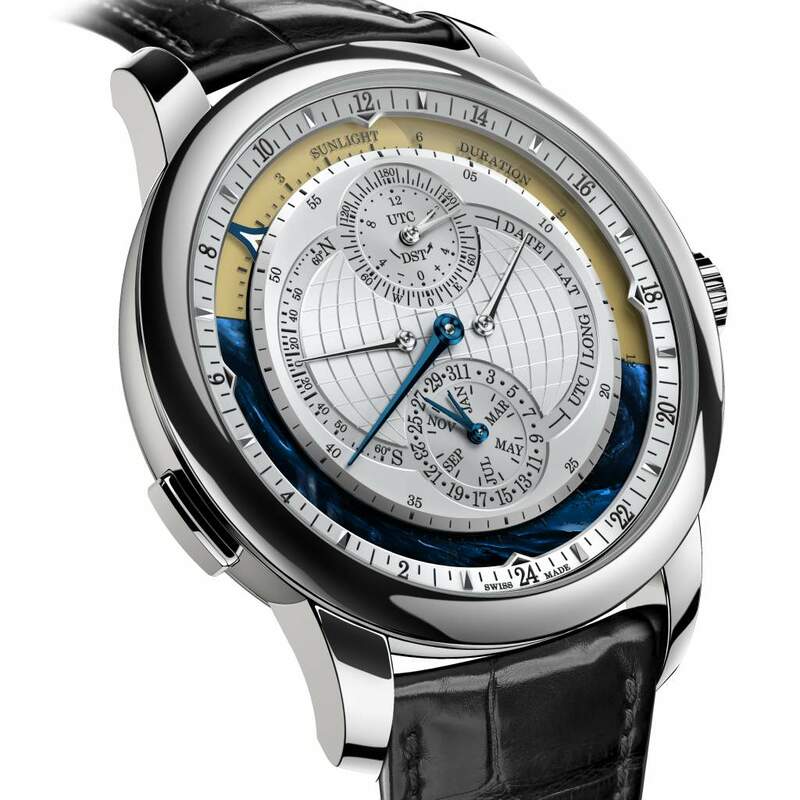 To offer the equation of time within the perpetual calendar complication, Greubel Forsey needed to first create a mechanical computer in order to facilitate the process. The computer drives a series of discs that help calculate the difference between solar time and civil time. The true breakthrough however is that adding a layer of complexity, the manufacture was able to keep the execution simple. The equation is as simple to set as the calendar. On the dial the user will be able to read the day, large date, leap year, day/night indicator, month, hours, minutes, seconds and power reserve (72 hours btw, in case you were wondering). On the reverse side the equation of time with months, seasons, solstices, equinoxes, and calendar year can be read. Probably the only reason to take this watch off. Finally, if all of this horological goodness weren’t enough, the piece also features a Tourbillon 24 Secondes, inclined at 25 degrees. The fast rotation and inclined angle help combat the negative effects of gravity as they pertain to the accuracy of the piece. Crafted in 18-karat gray gold, it retails for 670,000 CHF. Gordon Henderson: The stacked category presents plenty of options for a winner. 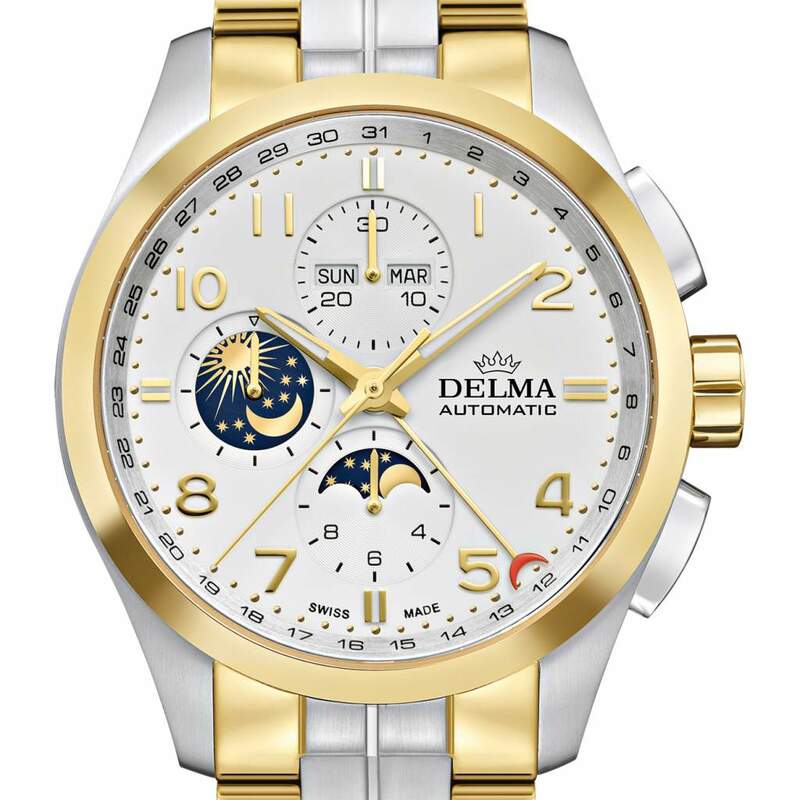 The Delma Klondike Moonphase is the clear value proposition at 3,750 CHF and hosts a bevy of complications for a price a mere mortal can purchase. 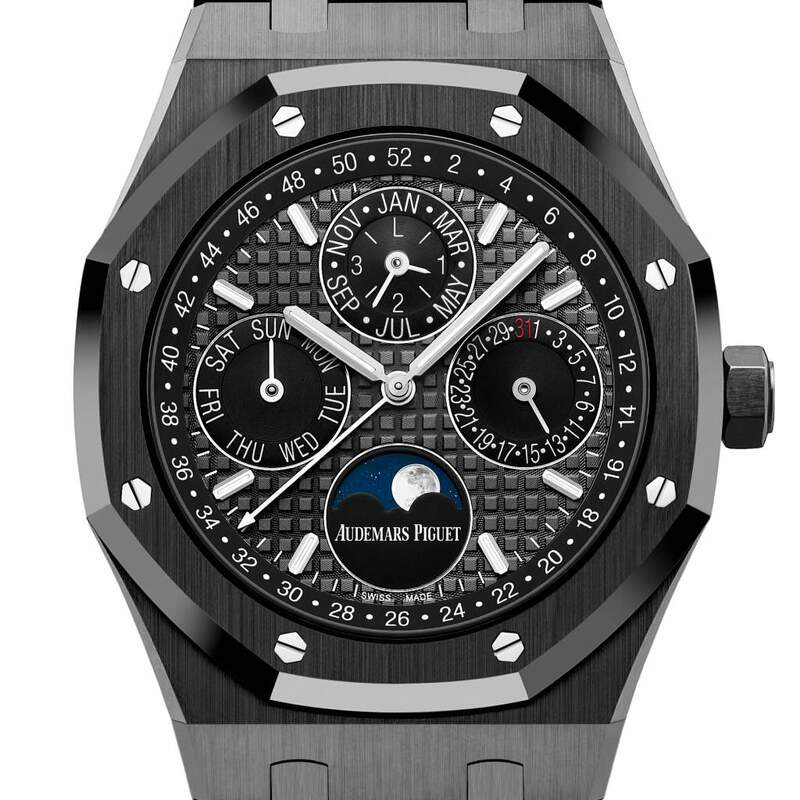 However the Royal Oak checks all of the boxes for me: it is equally elegant and rugged, the complications shown on the dial demonstrate sophistication in watchmaking, and the black ceramic renders the piece as tough and innovative. It is both yin and yang. From an aesthetic standpoint, it does not get cooler than a blacked out watch. This piece can be dressed up or down, and is equally at home in just about every scenario imaginable. The only thing wrong with it is that I will probably never own one (sad face emoji). This is easily the coolest watch going and sure to be a grail piece for anyone who has ever loved watches. 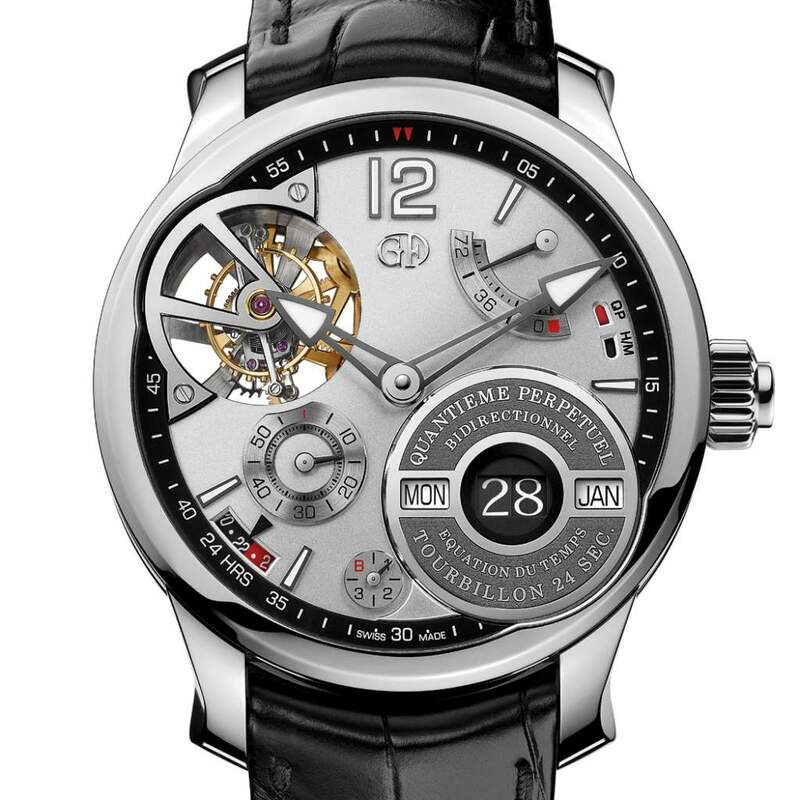 Roberta Naas: While the Audemars Piguet and A. Lange & Sohne choices are superb, I am rooting for the Greubel Forsey with equation of time complication. 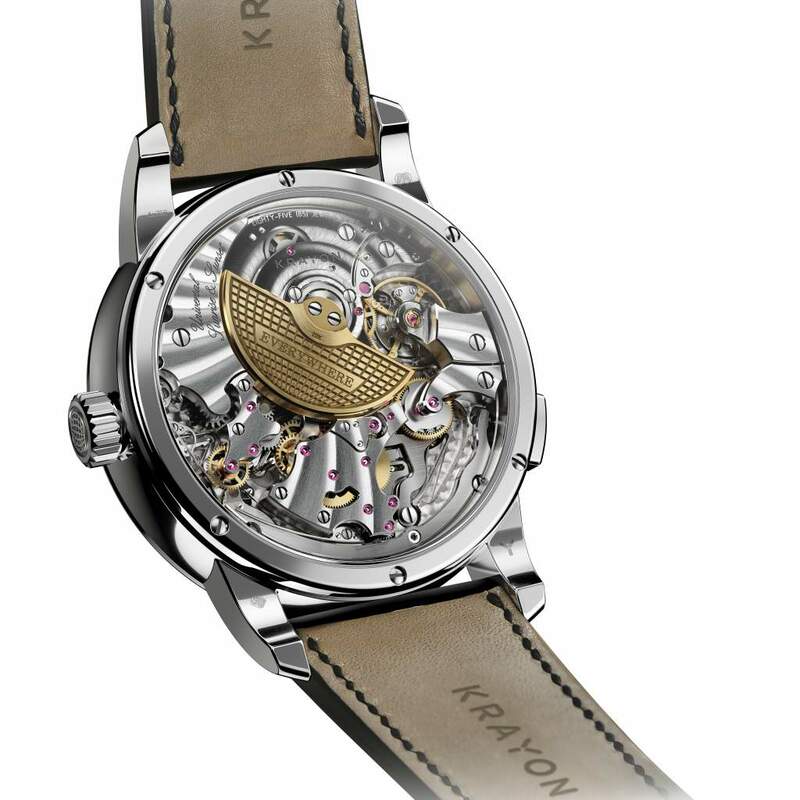 My feeling is, though, that relatively young brand Krayon may take the win thanks to the very unusual function and dial configuration. The back of the Krayon Everywhere watch, one of the Top 6 Calendar Watches of 2017 and a GPHG Calendar choice.